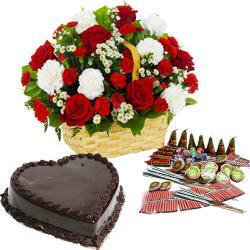 Product Consist : 1/2 Kg Black Forest Cake Round Hand Tied Bouquet of 20 Red roses along with Diwali Fire Crackers (Worth Rs. 300/-) (Note: Firecracker will be deliver as per their availability no specific choice for it). Celebrate this diwali with your love with this unique classy style of idea. Let this diwali be a pollution free diwali with full of love and enjoyment. 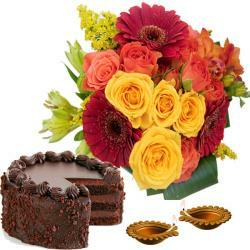 Light up the with diwali fire crackers black forest the cake bring the heartfelt wishes on the diwali. 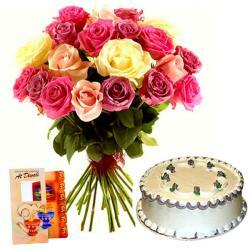 Make this diwali special for your love and celebrate it with freshness of the twenty red roses in the bouquet. 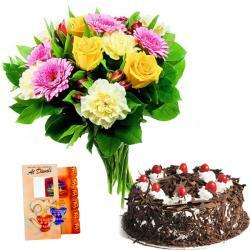 This combo has especially been designed for expressing the love and to celebrate the pollution free diwali. 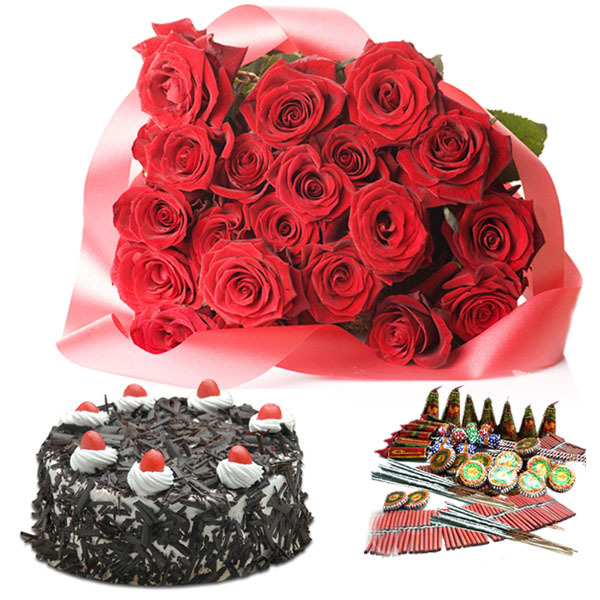 Product Includes : 1/2 Kg Black Forest Cake Round Hand Tied Bouquet of 20 Red roses along with Diwali Fire Crackers (Worth Rs. 300/-) (Note: Firecracker will be deliver as per their availability no specific choice for it).